If you are looking for an extra special party experience, then a photoshoot party could be just the solution. Perfect for birthday parties, leaving do’s or any special occasion they are ideal for children between 6 – 15 years of age. This unique photography party offers the opportunity for both group and individual photographs, fun photo booth style pictures, unique green screen experience …. not to mention lots of laughs along the way! Everything is Included Just turn up! Free downloadable invitations for your guests. Everyone receives a party bag will their photos included. High quality photos including individual and group shots. Nibbles & a jug of mocktail with Deluxe and VIP parties only. Optional MUA available for makeovers during the party. Private online gallery & free digital images included. 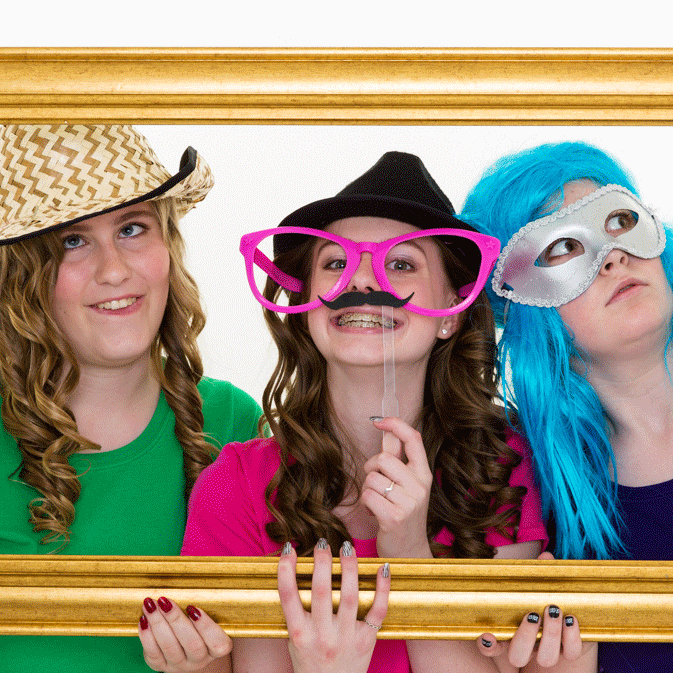 For an extra special treat why not include a mini makeover with your photoshoot party. Book the make-up artist and each girl will have professionally applied make up and fabulous nails to make them look their best ready for the photos. We understand ‘less can be more’ with make up and ensure the girls will have a beautiful natural look. We use our professional MoYou Salon nail kit to create fun nail art designs for each girl, a luxurious pampering for everyone. A fun 1 hour professional photoshoot party for up to 5 children. A 1.5 hour professional photoshoot party for up to 10 children. With yummy nibbles, mocktails, photobooth fun, and a green screen experience …. you will have a party to remember! 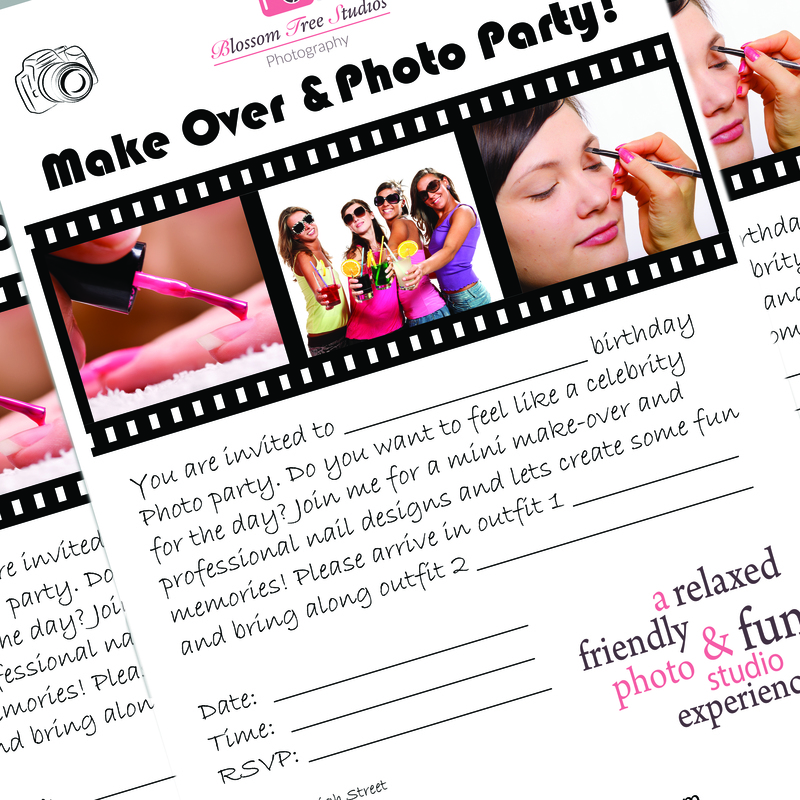 A 2.5hr professional photo party for up to 8 children. This popular package includes mini makeovers, professional nail designs, yummy nibbles, mocktails, photo booth style shots and green screen experience. There is plenty of time to have outfit changes, so ask your friends to bring along your chosen outfits, party clothes, pyjamas etc. Each child gets a stunning mounted prints to take home after the party. Plus ALL the images go on to your own personal online gallery so you can share the fun with family and friends. Make an album, frame them, pin them on your display board …. enjoy the memories that will last a life time. *Green screen and photobooth images are not included with the Classic party package. How many photos are taken during the party? The children can take unlimited photos during the party. We will guide them to take a range of individual and group shots, with the different outfits and photobooth props. Does each guest get to take prints home on the day? Yes they do. Each guest will be given a party pack at the end of the party, which includes their mounted prints. For the Deluxe and VIP parties, this will be a stunning 20″ x 10″ multi-aperture mount with individual and group photos. With the classic package each guest will receive an 8″ x 6″ mounted group photo. 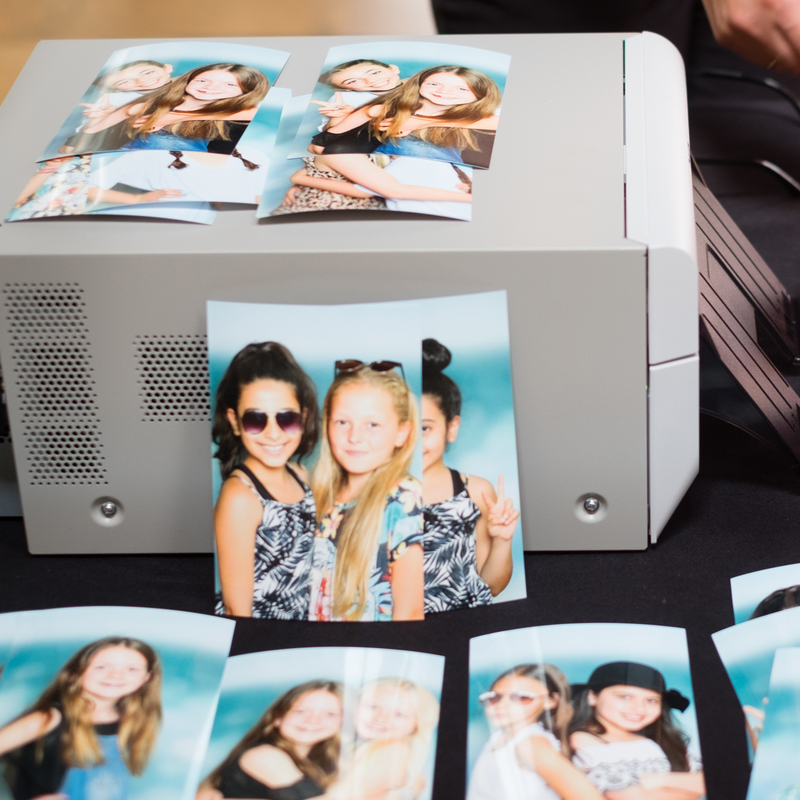 Don’t forget you also get all the high resolution digital images from the party, so you can prints as many copies as you like after the party too! What is a green screen experience? 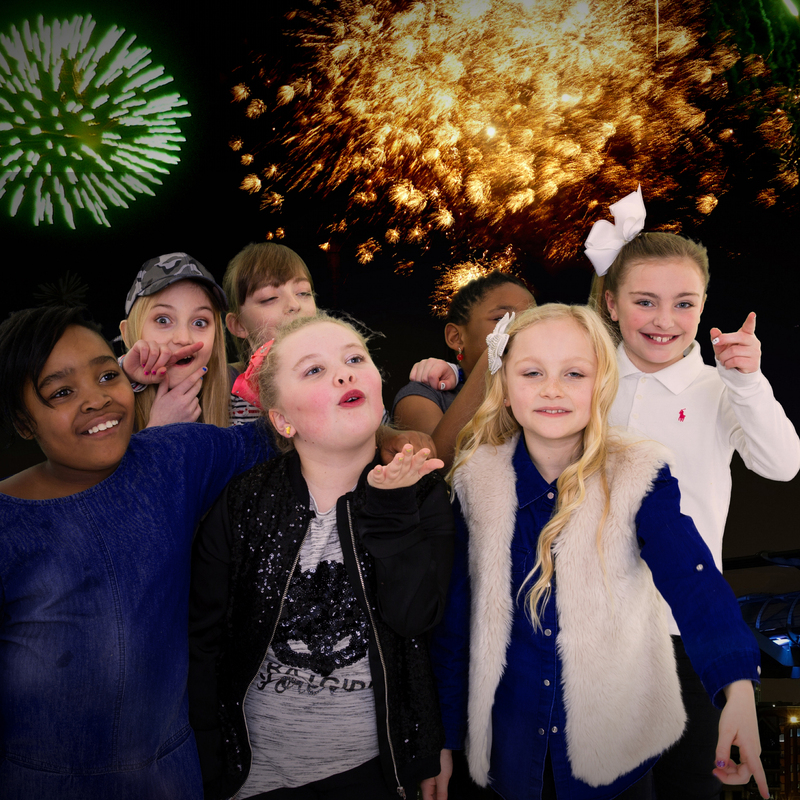 The green screen experience is a fun photography trick where we can digitally remove the background in the photos and replace them with a range of personalised backgrounds. Would your child like to go into space or under the sea? Perhaps they would like to go shopping in New York or on a luxury beach holiday? With the green screen virtually anything is possible! What should we wear for the party? 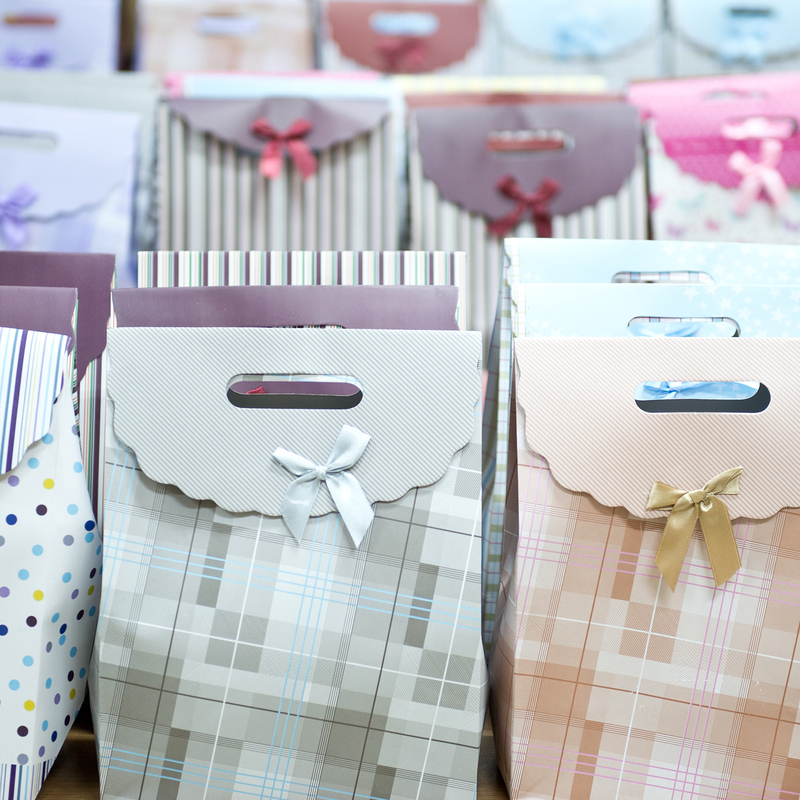 Ask your friends to arrive in one outfit and bring along a different outfit in a small bag. We provide props for the photobooth images, although you are welcome to use your own too if you have something specific in mind! Our suggested age range is 6-15 years. However we are happy to be flexible if you require something a little different. Perhaps you have a princess mad 5 year old who would like a princess pamper photo shoot party. 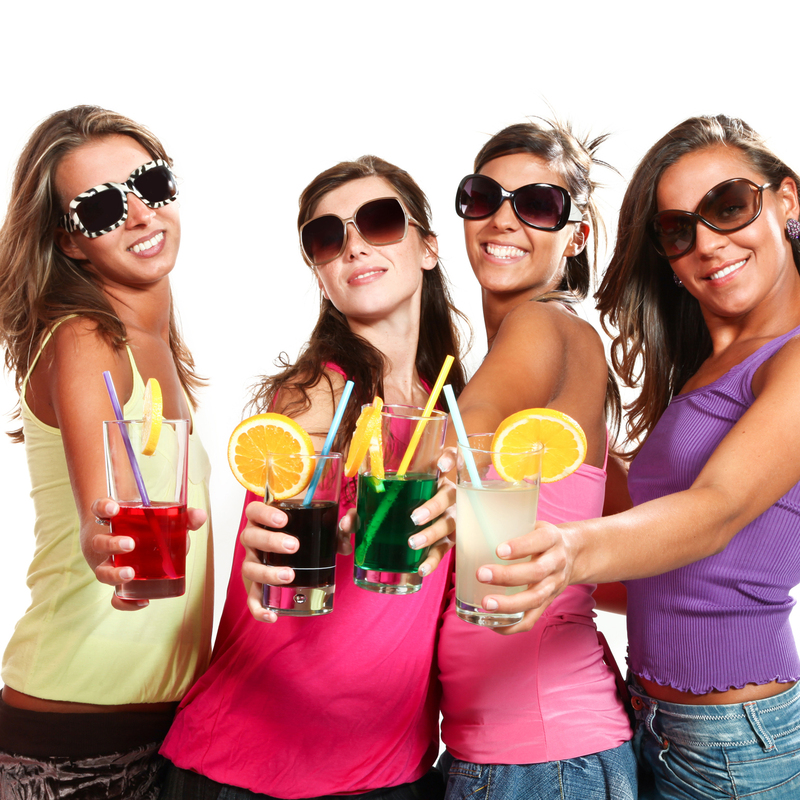 We can even do adult party photoshoots to celebrate hen do’s and special birthdays. So give us a call if you would like to discuss your party further. How many people can attend the party? The Deluxe Photoshoot Parties are suitable for up to 10 children, the VIP Mini Makeover Parties cater for up to 8 children and the Classic Parties are for a maximum of 5 children. There is limited space in the studio, so we kindly ask that a maximum of 2 adults accompany the party. Can we bring food /birthday cake? With the Deluxe and VIP packages, we provide a range of yummy nibbles for guests to snack on during the photoshoot. This typically includes a selection of sweet cake bites, hand cooked crisps and delicious fruit platters, which are provided fresh daily from M&S. 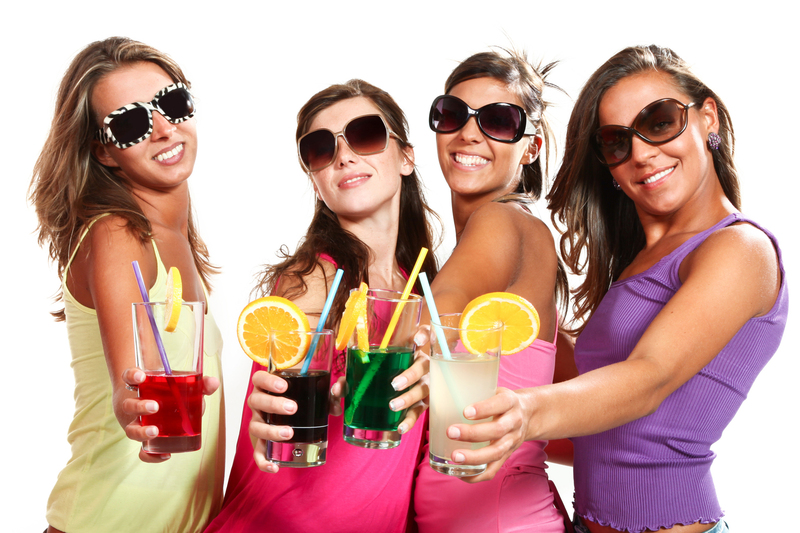 You will also be able to choose a jug of your favourite flavoured mocktail for the party. Due to limited space and time, we are unfortunately not able to allow guest to bring their own food into the studio. We are however conveniently located on Eltham High street with plenty of options if you would like to go out for a bite to eat after the photoshoot. We are right above the delicious Kaspas if you fancy a sweet treat, or how about a pizza at Prezzo which is across the road? You are welcome to bring a cake if you would like, although it isn’t essential as everyone will get the chance to sing happy birthday with fun confetti cannons at the end of the photoshoot. If you do wish to bring cake, we recommend cupcakes as these are easy for you to hand out for guests to take home after the party. Is the mini-makeover age appropriate? Absolutely! 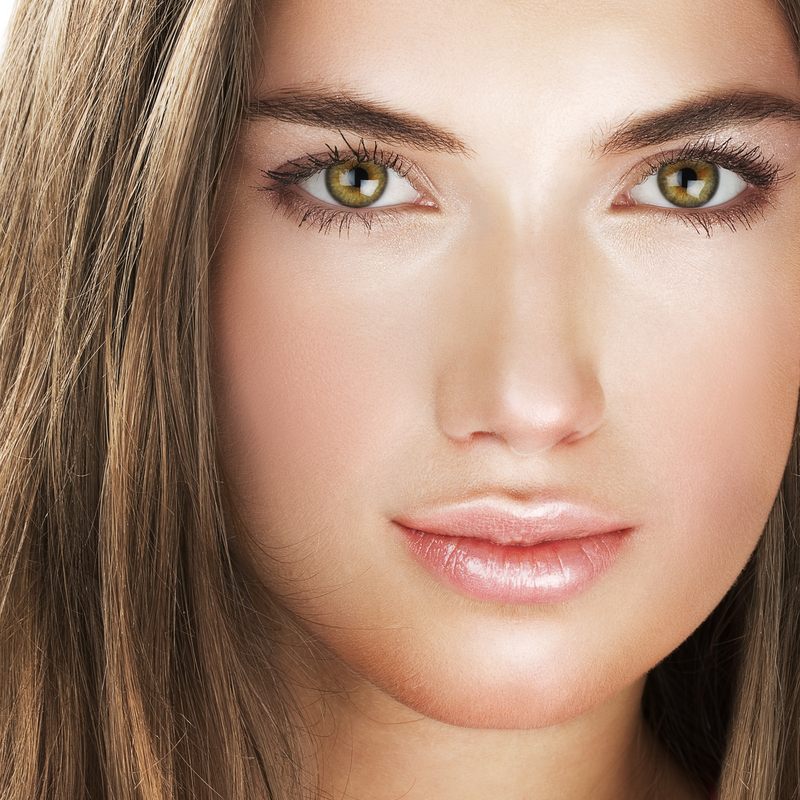 We know that the best photos are achieved when make-up is applied to give a natural look. The mini-makeover is all about giving the ‘super-star’ pamper treatment, the birthday girl and her guests will be made to feel like a celebrity ready to hit the red carpet. You can make a booking online or give us a call on 0208 859 2183. A £50 deposit is required to secure the party date and the remaining balance is due 14 days before the party. Online bookings can be made a minimum of 2 weeks in advance. For last minute availability please call or email us. Payment can be made in cash or with most major debit / credit cards. I arranged for my daughter to have a photoshoot party for her 8th birthday with her best friends. The girls loved having the mini makeover and the makeup artist was fabulous, she made the girls feel very special but without looking over done! 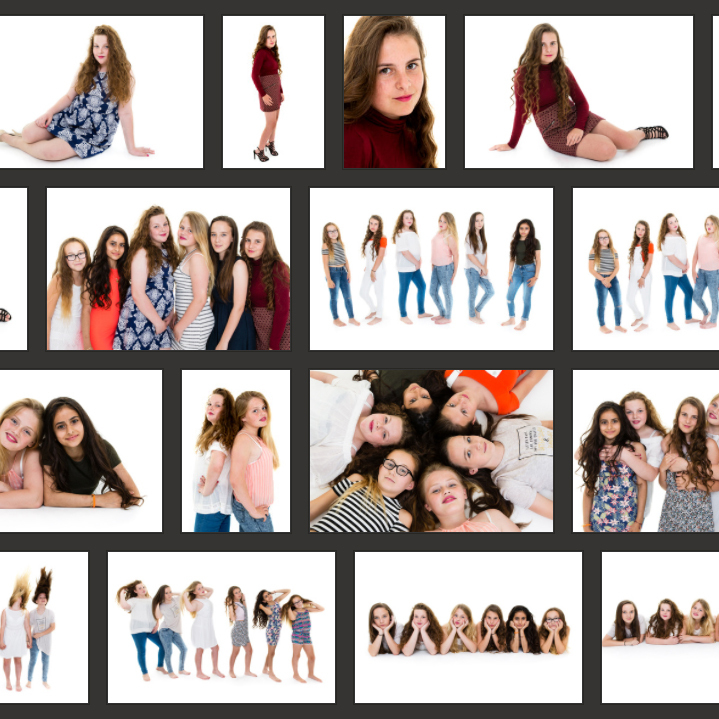 The photoshoot was loads of fun and the girls got some amazing pictures to take away, such great memories. Louise even took a couple of family pictures which was a bonus. 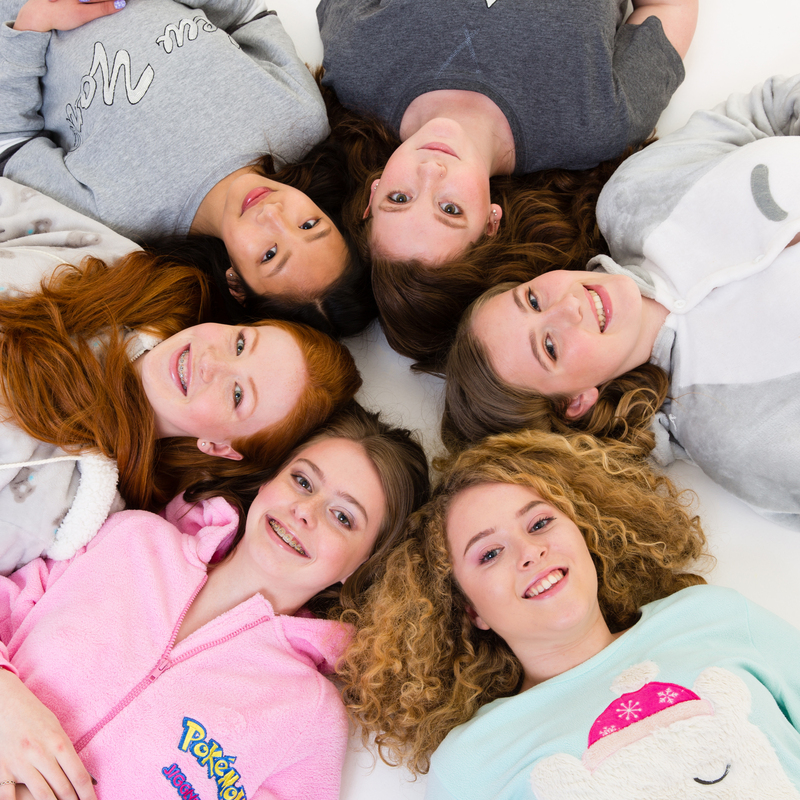 I highly recommend these photoshoot parties, the 7 & 8 year olds at my daughters party loved every minute of it but i can image it works very well for older girls too. It is my daughters last year of primary school so this was the perfect birthday party for her. The photos are out of this world, such special memories for them all as they separate off to their different secondary schools. I am so please I found you. Helen the make-up artist was brilliant too, you both made the girls feel so relaxed and welcome.